Before you decide that you want to start a reef tank, there are a few important things you need to consider – especially if you are new to the aquarium hobby. For one thing, cultivating and maintaining a healthy reef tank can be a time-consuming hobby. For freshwater tanks you can usually set up your tank with the right equipment and then maintenance requires little more than daily feeding and weekly water changes. 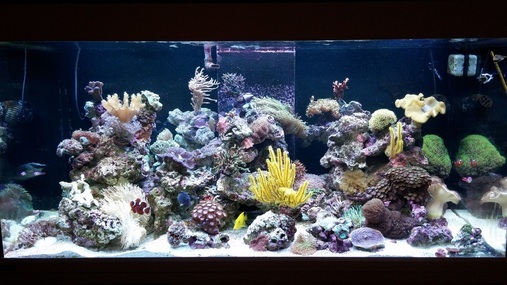 For a traditional saltwater tank you might need to do a little more in the set-up phase, especially if you are using live rock, but maintenance requirements are similar – it will, however, take a little more work to prepare saltwater for water changes and to maintain proper water chemistry. For a reef tank, you still need to think about installing the right equipment and mixing saltwater to fill your tank and to use for water changes, but there are some more things to consider as well. A reef tank is supposed to be filled with live corals and various marine invertebrates – it may or may not actually include any fish. Even without fish, however, reef tanks take a lot of work to maintain. Corals, anemones, and other reef invertebrates often have very specific tank requirements and even the slightest change in water chemistry could be deadly. Before you decide to start a reef tank, think about whether you can dedicate the time to maintaining the tank properly and that you have the money needed to properly outfit and stock the tank to start with. If you’ve decided that a reef tank is definitely the way you want to go, you then need to think about what size tank you want. Reef tanks range in size from nano reef tanks under 20 gallons in capacity to large reef tanks of 300 gallons or more. Many experienced aquarium hobbyists will agree that, when it comes to tank size, bigger is better. Especially for freshwater tanks, maintaining stable water conditions is easier in a larger tank because toxins and other harmful substances will be diluted – small problems are less likely to turn into big problems in a larger tank. There is a point, however, at which a tank can become too big for beginner – especially for reef tanks which are often finicky and difficult to establish. If you speak to experienced reef tank owners, you will find that many of them recommend a 120-gallon or a 180-gallon tank for a beginner. This may seem extremely large to you – especially if you’ve also considered freshwater tanks – but it really is the best option. A tank this size will have the right proportions to give your corals and anemones room to spread and grow while also giving you enough water volume to make it easier to balance your water chemistry. After choosing the size for your reef tank you need to follow a few steps to actually set it up. Before you start the set-up, make sure to do some research to determine what kind of inhabitants you want to keep in your tank. Corals and anemones are great additions to the reef tank but some of them are very difficult to keep. Consider choosing a few of the varieties that are recommended for beginners and make sure that they have compatible tank requirements. You also need to be mindful of the type of equipment you choose. A quality filtration system is the key to maintaining high water quality in your tank and a heating system is necessary to maintain stable reef temperatures. Depending on the tank inhabitants you choose, you may also need to purchase a high-quality lighting system. Additional equipment like UV sterilizers and protein skimmers may be beneficial but they are something you may be able to add after your tank becomes established. Reef tanks are a little bit different from traditional saltwater tanks because they bring together a variety of reef inhabitants like corals, anemones, fish, and reef invertebrates. 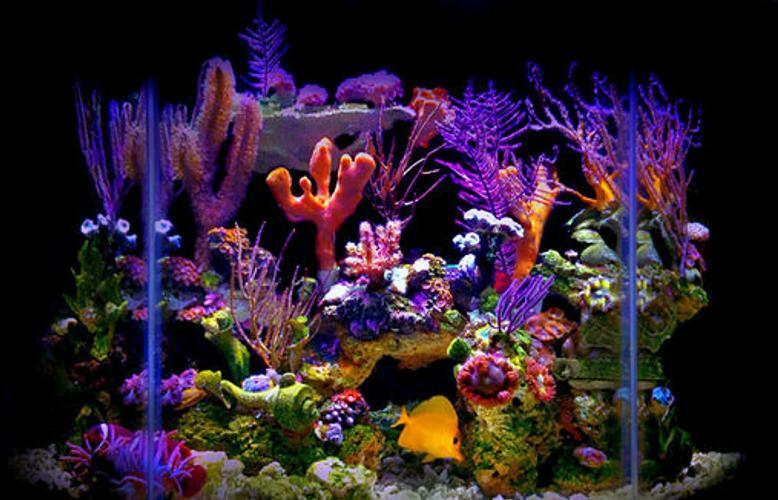 It is important to realize that different reef inhabitants have different requirements in terms of water chemistry and other tank aspects, so you need to do your research to ensure that your reef tank caters to the needs of your inhabitants and that all of your inhabitants are compatible with each other and with your tank. Scavengers – The first inhabitants you should add to your reef tank are scavengers like hermit crabs and snails. These are some of the hardiest reef tank inhabitants and they will help to keep your substrate free from accumulated detritus. Beginner Corals – Once your tank has cycled and your scavengers have settled in you can start adding your beginner corals. Some popular options for beginners include colony polyps, button polyps, and mushroom corals. Just make sure that your corals are compatible with each other and that your lighting and filtration system is adequate to meet their needs. Aqua-cultured Corals – These are corals that have been grown in captivity which makes them easier to assimilate into a reef tank. Some good options to consider include Xenia, starburst polyps, tree coral, mushroom leather coral, finger leather coral, and colony polyps. Fish and Invertebrates – After your reef has become established you can add a few fish and invertebrates. Some good fish to conisider for reef tanks include wrasses, basslets, blennies, clownfish, and cardinalfish. Recommended invertebrates include cleaner shrimp and sea urchins. Setting up and maintaining a healthy reef tank can be quite a challenge but it is very exciting as well! Nothing is more satisfying than looking up your thriving reef tank full of corals, anemones, and colorful fish. 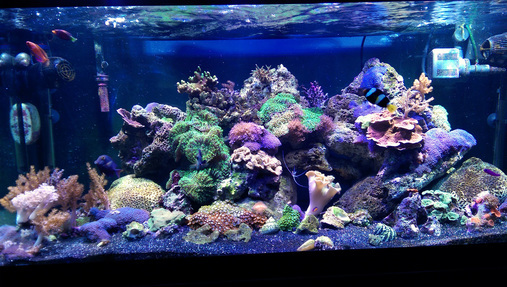 Using the tips and helpful information in this article you can get started on your quest to become a reef tank hobbyist.